Its Raining… Cats and Dogs! and how ironic that the test was about evolution of printing… and the printer fails… OH THE IRONY OF IT ALL!!!!!!!!!!!!! I don’t think anything is as exciting as this (well, in this particular moment in my lifetime)! In my last year at Havergal College, I partook in a stop motion production with seven other classmates in my Communication Technology class. Along with the guidance of my teacher Mr M. or Mrm, we created a piece I believed was worthy of submission to an animation festival. Marked won best stop motion animation at the Toronto International Student Animation Festival! How incredible is that?? A collaboration I was a part of won best stop motion! I just feel awesome that all the hard work has paid off and clearly other people enjoy the film. Earlier this week, at 9am, I completed a complicated task. This task leaves some students feeling victorious, and some students crying over their computers, because the future year for these students rests in this task. I basically got all the course times I preferred and managed to fit in a course for my new minor in Digital Media! Even though my work load will probably be crazy, I know I can manage it! Through a variety of experiences ranging from the development of graphic form to composition and colour, students will develop visual vocabularies and an aesthetic understanding of how content and message impact on form and communication. All studio-based projects require research and presentations that include verbal, written and visual components. Students will work in two and four dimensions with static and time-based formats. The course will integrate current software and appropriate digital methods. In this course students will explore typographic structures, focusing on normative and conceptual principles. An in depth analysis is undertaken in this course that explores the letter relationship to the word, the word relationship to the line, lines in relationship to column and the way these elements activate a particular space. Students will be introduced to the basic principles of visual hierarchy and grid structures, as well as the syntactic, semantic and pragmatic qualities of typography. This studio investigates communication design specific to the capture and creation of motion. Students will be introduced to narrative elements and principles as they are found in interface, animation, video, film and television. Students will study the effective use of time, space, sound, transition, media integration and graphic story telling. The course will explore basic digital motion creation processes: video-capture, animation, workflow, digital asset management, and distribution. How does the economy work? In the current volatile economy, how can we tell whether we are just in another economic cycle, or witnessing a major shift in the global world order? What factors precipitated the current economic condition and has something fundamental changed that art and design students would do well to understand? What alternatives are there? This course provides an introduction to macro and micro economics, locates the Canadian economic system within the global context, and drills down to the role of the business enterprise, from sole proprietorships to international corporations. – Basically what I learned in Grade 11 Economics but in University… COOL! This lecture-seminar course engages in a study of communication arts and media within the context of the 20th century. The course focuses on the relationships between technological, social, economic, political and cultural changes that have shaped and influenced the development of communication arts. The range of subjects covered includes the impact of the two world wars and the Vietnam War; the influence of the Bauhaus, the developments in editorial design, the first attempts at computer composition, corporate design, electronic imaging and advances in print and pre-press technologies. This interdisciplinary course examines the social condition of where and how we live in the context of the Faculty of Design’s primary mandate ‘Design and Humanity’. The significant impact that intelligent and sustainable design can have on people’s lives and the considerable responsibility that the designer has to society are critical factors in shaping behaviour and turning research and perception into action. Strategies for change are channeled into potential project solutions in this course through the research, discussion and debate of current societal issues. The course focuses on process, word/image interaction, meaning, hierarchy and the impact of dimensional form on effective communication. Students will learn to distill complex ideas into concise and convincing two and three-dimensional elements. All studio-based assignments require research and presentations that include verbal, written and visual components. The course will integrate current software and tools in both physical and virtual environments. Students will continue to explore the design of organizational typographic structures in this course. The presentation of complex information in a clear and engaging manner, servicing utility and where appropriate, beauty, is the primary focus. An increased emphasis on content, concept and type’s association to imagery for specific target audiences will be addressed through a range of typographically-driven projects. – This will be Super Helpful!! Using a variety of materials through analogue and digital processes this course introduces students to the elements, principles and processes used in the development of three-dimensional form. Students examine the meanings and associations of forms, along with the underlying structural principles affecting their creation. Central to the course is how concept, form, material and process are inter-related. Through critical reasoning and an awareness of contemporary Graphic Design practices in architectural, exhibit, way-finding, and packaging design, students develop the skills and confidence to produce meaningful forms in three dimensions. – YES PACKAGE DESIGN!!!! So excited to take this course!!!! SERIOUSLY EXCITED!!!!! This lecture course is designed to offer students critical and analytical skills to understand our complex media environment through the study of the basic principles, methodologies and topics relevant to Communications Studies. Students examine historical, economic, technological and policy perspectives that shape how we respond to and participate in a media landscape, with an emphasis placed on the Canadian context. Topics to be addressed include: theories of communications and media; public and private media; communications and nations; culture industries; media convergence; geopolitics of global communications; networks and communications; democracy and media; and consumers, identity and media. – Media Studies?? Very Thought-Provoking!!! If I get in, I’ll be doing my happy dance! Now that summer is here, I should really take the time to look back on my first year. To put simply, time to reflect. From just witnessing other peers in my class when the teacher suggests to write a reflection on an experience, there are often an array of reactions: cringing, complaining, rage, throwing of papers, etc. Clearly, reflecting is not a past-time people would willingly commit to on their own accord. However, if I may put bluntly, reflection is necessary and should be made part of a weekly practise (now I’m sounding like a reflectionist). that is just a slice of my awesome year at OCAD! Although this seemingly awesome year went pretty well, there were a few set backs. I need to tighten up my organizational skills and time management. There is next year so I will apply what I know now to then. In the meantime, I will be exercising to tone up and be working at Manulife Financial. These past couple of weeks have just been crazy with work! With final projects being due, research papers being graded, and written exams to think about, I really haven’t had much time to write a post. Luckily for all of my BLEEDERS (got that from the book Julie and Julia) I am making time now. Lately, I have been working on my water bottle assignment, which requires us to actually put our designs on an actual bottle. This means running around Staples to find some sticker paper so I can place my designs on a really boring looking bottle. 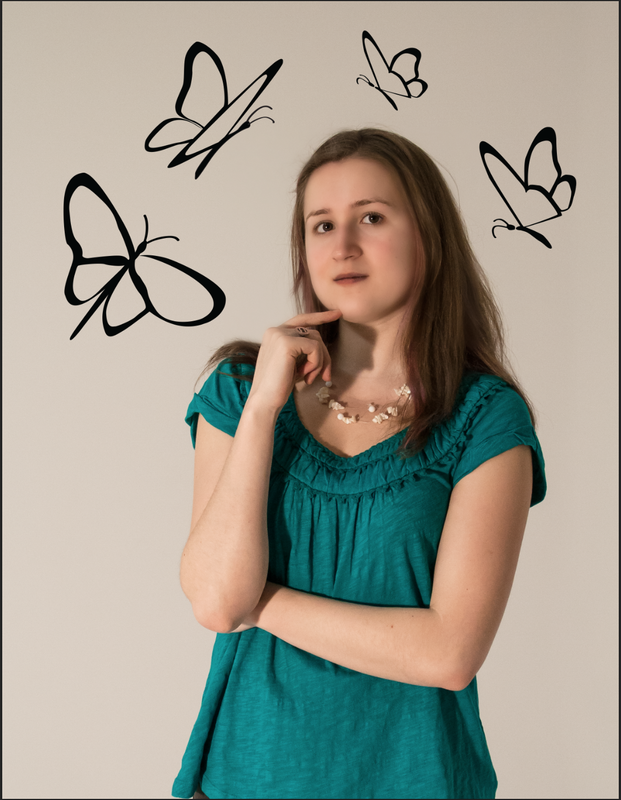 The design I made was from the fall, when I was fooling around on Illustrator. 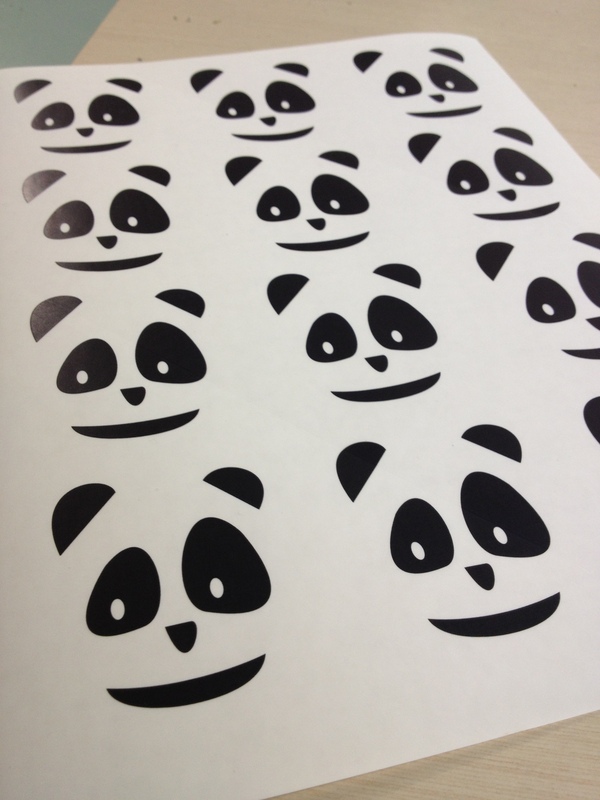 Now I just need to cut out my panda stickers and place them on anything I want!!!!!!!!!!!! You know the movie When Harry Met Sally? 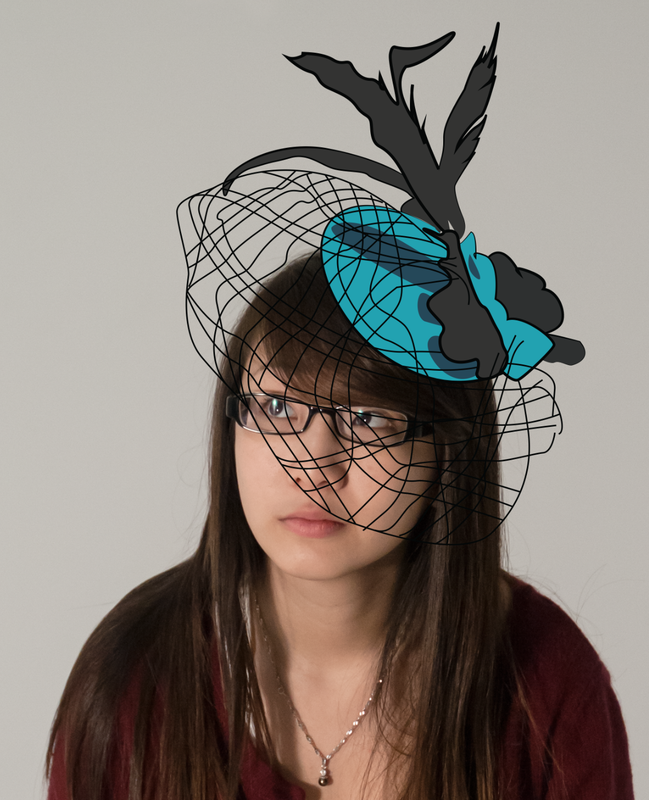 However, this post is about When Illustration Met Photography! Ever since the calendar I had to complete for my Communication Design class, I have been thinking of new projects to do for myself. Interestingly enough, I decided to make my own personal calendar in my spare time and in between other homework assignments. For this calendar, I wanted to make something playful and pretty. 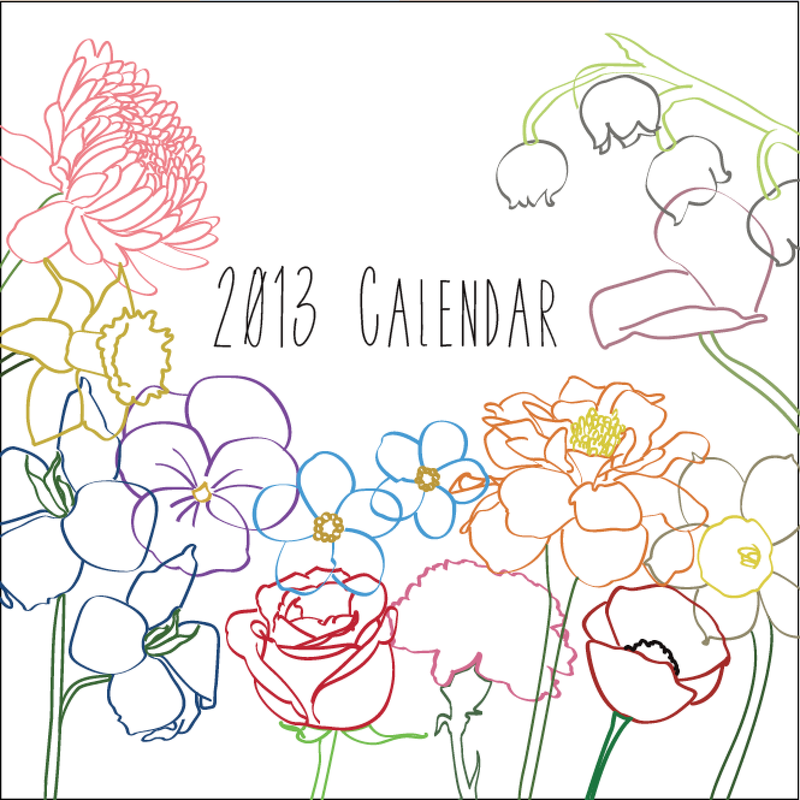 Therefore, I thought a calendar for birth-month-flowers would be a great idea! I found a list via Wikipedia saying a flower for each month of the year and the flower’s symbolism. Today was the first day of Reading Week! It started after my morning class, which was Communication Design 2, where I pitched my ideas for the final part of my assignment! (its going to be a calendar btw). So now, I am up at the cottage with my family, just relaxing and taking time off working. Right now, I am just making some art for myself, while I have the chance anyway. 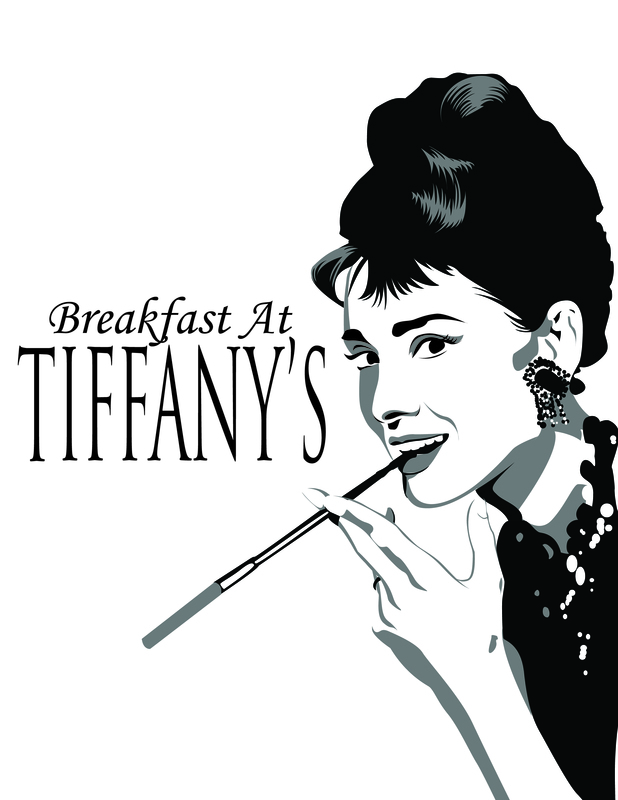 So, I decided to make myself my very own “Breakfast At Tiffany’s” poster! Granted, I do have a copy of one that I bought at the MoMA last May, but I want to actually MAKE one! Leave a comment if you have any suggestions for what I should add, exclude, change, anything you think.